Microsoft (s MSFT) will roll out an update to its Xbox Live platform on Tuesday, which will bring a host of new content to its users. While much of the new content comes from cable and IPTV providers and TV networks, the importance of the update is more in the blending of online and pay TV content, and the ability to surface it side-by-side. New apps for EPIX, ESPN, (s DIS) Hulu Plus, Netflix (s NFLX) and NBC’s Today (s CMCSA)(s GE) will become available on Tuesday in the U.S. Abroad, Lovefilm (U.K.), Mediaset’s Premium Play (Italy), Telefónica’s Movistar Imagenio (Spain) and Sky Go (Austria and Germany) will launch. Meanwhile, the Hulu app will be available in Japan and Netflix will also launch in Canada as well. Yes, Microsoft is moving beyond just supporting the streaming players, and making content from the traditional TV world available as well. But what’s most interesting about the combination is not that all that content is available, but that it’s available through the same search interface. Consumer electronics manufacturers like Samsung and Sony (s SNE) are also beginning to get apps from the likes of Comcast, Time Warner Cable, (s TWC) HBO and other content partners. But so far, it seems like most of those implementations are based on siloed experiences. In other words: you open the Samsung app store, open the HBO app, search for a show, watch it, exit, open the Comcast app, watch another show, etc. There’s no good way to surface content from multiple providers. 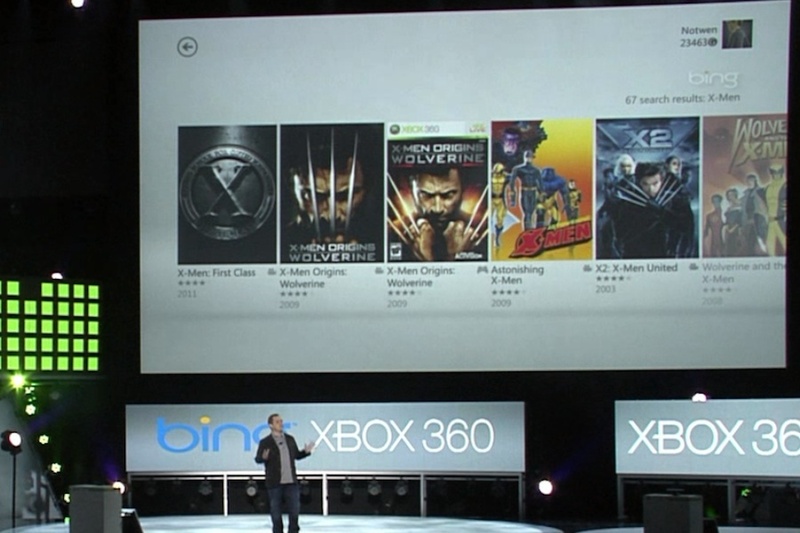 Built into the Xbox Live implementation, however, is a unified search mechanism powered by its Bing search engine. When a user searches for a movie like Iron Man, he or she will be able to watch it through any number of services — whether it be through the Epix app, the Netflix app, or one of the pay-per-view apps like Microsoft Zune marketplace or Vudu. That will help users get to a lot of the content they want to watch sooner, without worrying about whichever service it’s actually available on. We’ve been big proponents of the need for better discovery mechanisms for video, as the number of titles and number of providers continues to increase. There have been a few companies that have attempted to take this problem on so far: TiVo (s TIVO) has been doing unified search for years, allowing viewers to navigate live TV and video-on-demand services through a single search mechanism. Google TV also offered a similar functionality, with search through live TV, VOD and online services like Netflix and Hulu Plus. But the new Xbox interface is the first service to tackle the discovery issue at scale — both due to its massive install base, with 35 million Xbox Live subscribers, and with more than 40 content partners soon available through the service. There’s just one drawback currently, which we’re hoping Xbox figures out: For now, it’s limiting Bing search to full-length, premium content — basically just TV shows and movies. While it’s nice to see content from Netflix and Verizon next to each other, it will be even nicer to be able to browse and discover new shows from YouTube alongside TV episodes from Hulu Plus.